Your digital presence tells the story of who you are… so what should you be saying? In a world overflowing with the noise of Facebook updates, tweets, blog posts, Pinterest pins and YouTube video responses, it’s difficult to connect with the people who matter most to your business and your career. 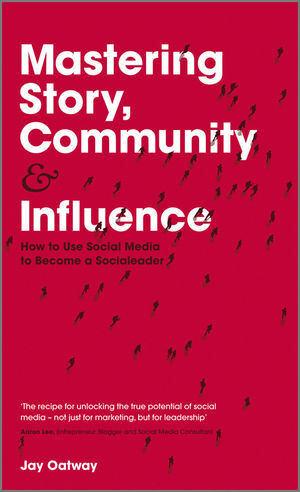 Mastering Story, Community and Influence explains the art of social media storytelling, showing you how to turn your offline expertise into the sort of online thought-leadership that cuts through the noise and attracts larger, more important communities. Whether you’re new to social media or racing to keep up with every new platform, social media storyteller extraordinaire, Jay Oatway, reveals the underlying mechanics and best practices behind becoming a serious online influencer. Mastering Story, Community and Influence will help you become an authoritative presence online and build both the reputation and community you need for your future success in the Social Media Era.